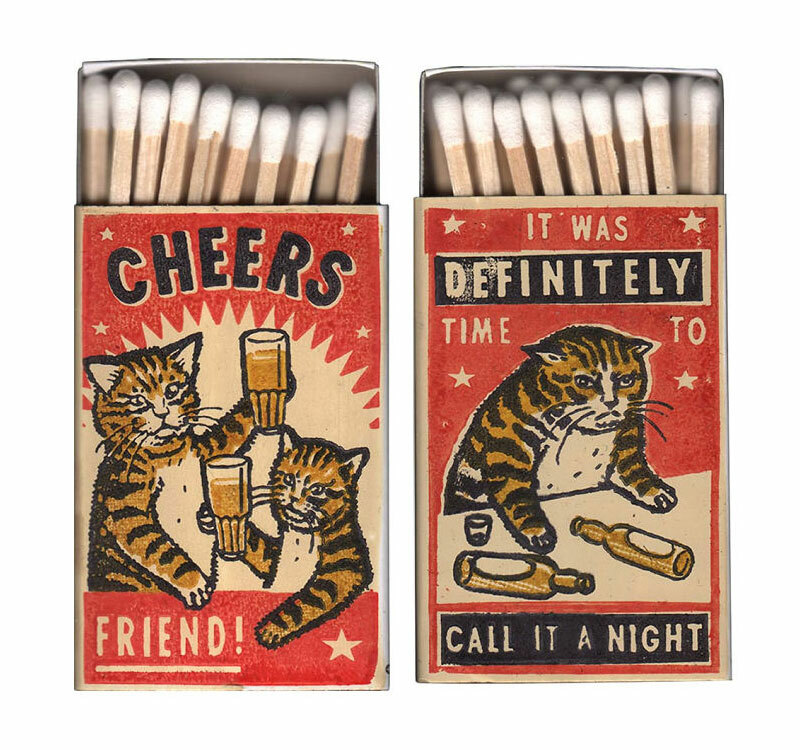 On the Internet, there are two types of content that people never seem to get tired of: cats doing silly stuff and drunk people doing even sillier stuff. 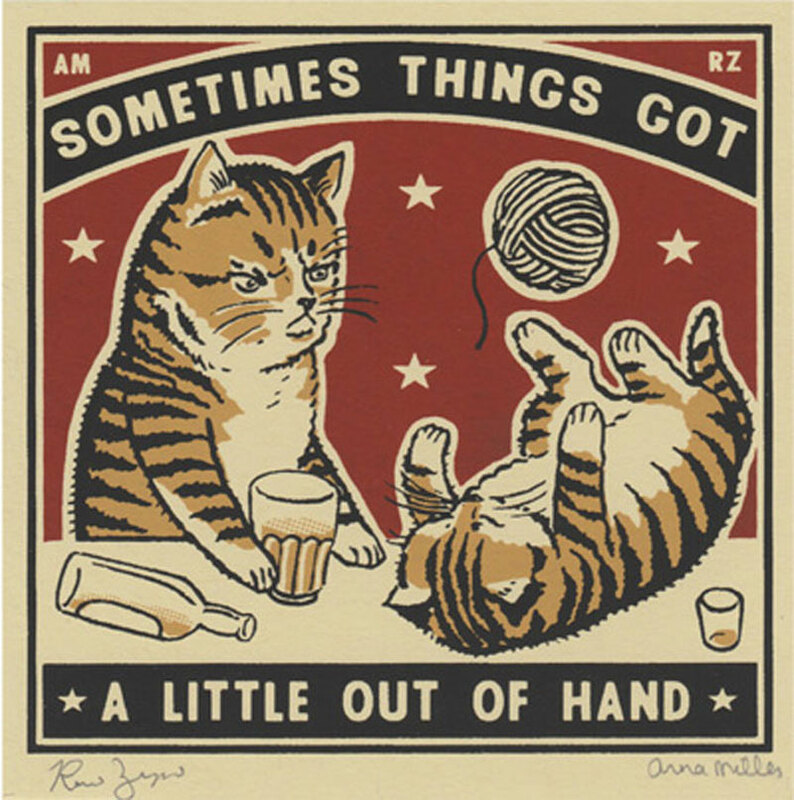 These premisces set, you can easily imagine the viral potential of these illustrations of drunk cats doing silly things. 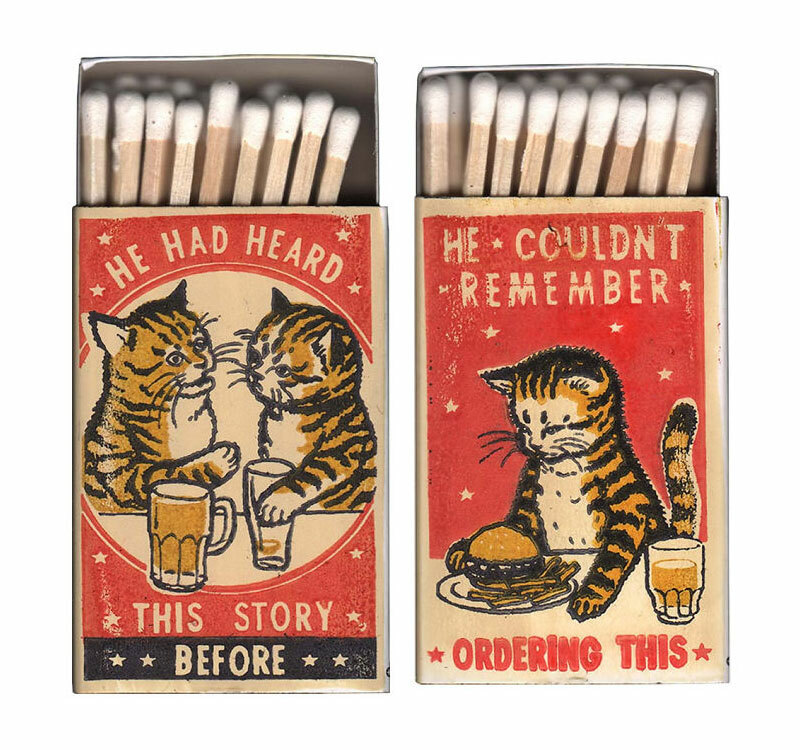 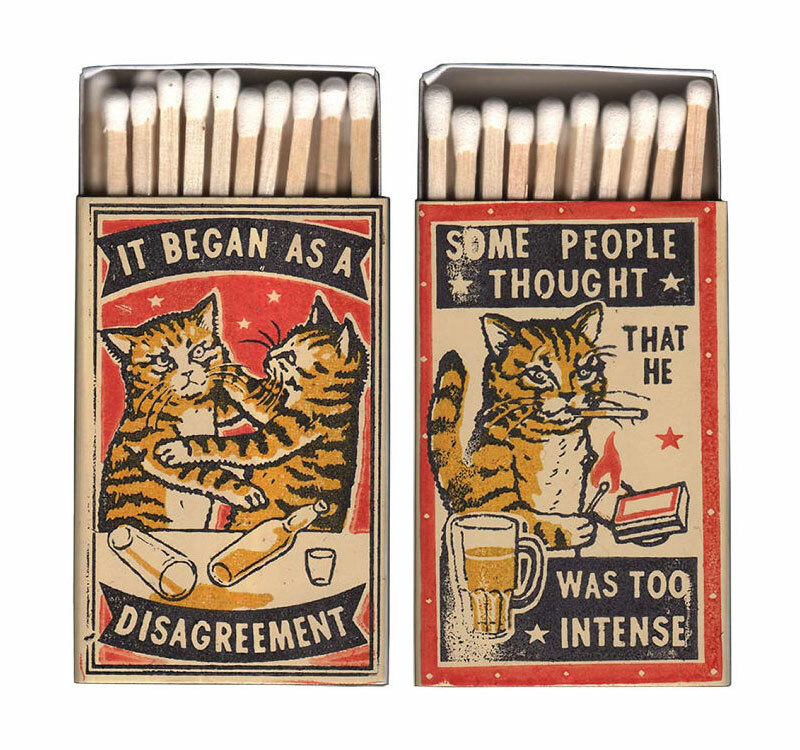 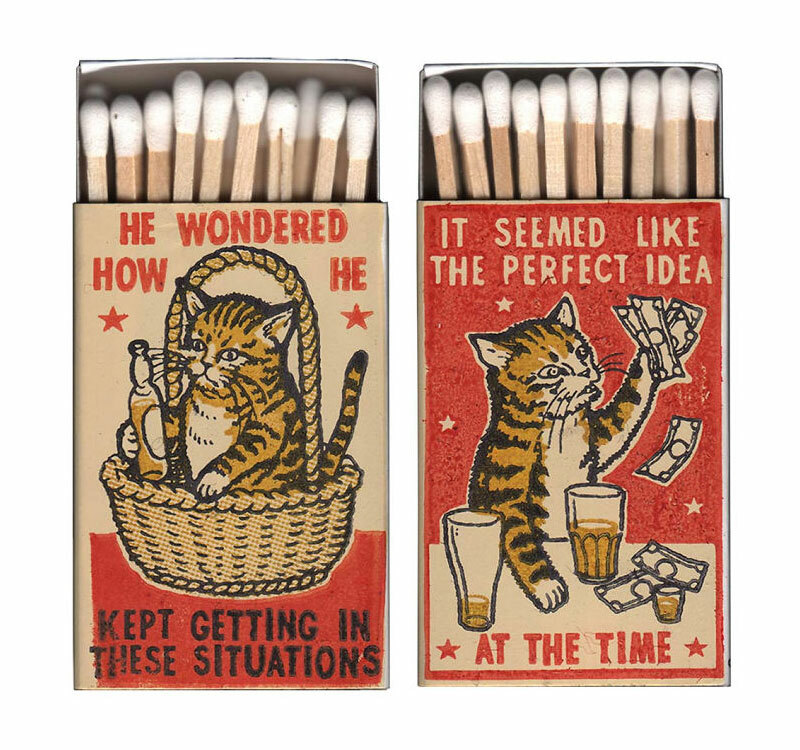 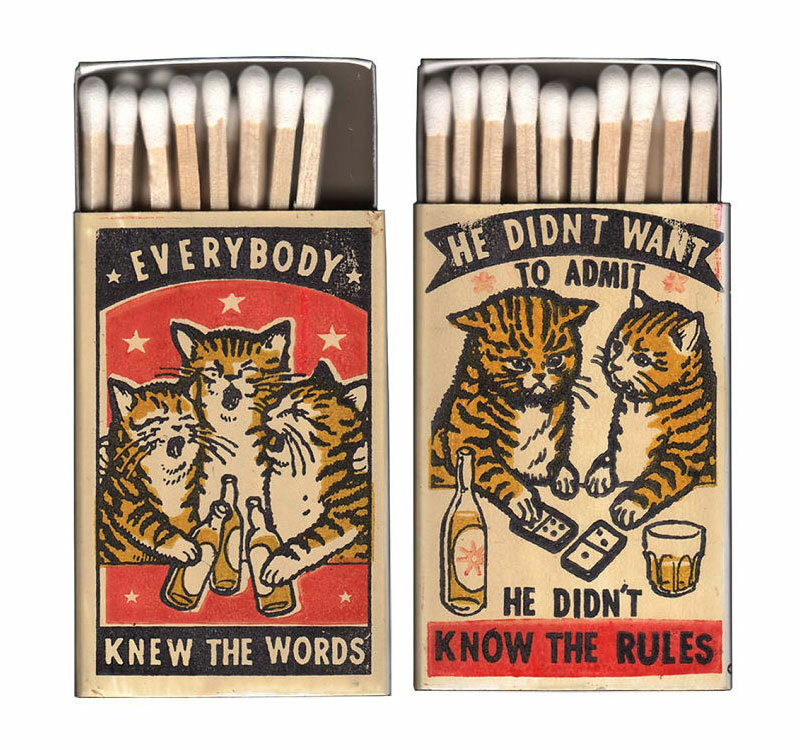 These matchboxes with a vintage look-and-feel illustrative style were created by Arna Miller, a Denver-based artist who worked on this project with her husband Ravi Amar Zupa.